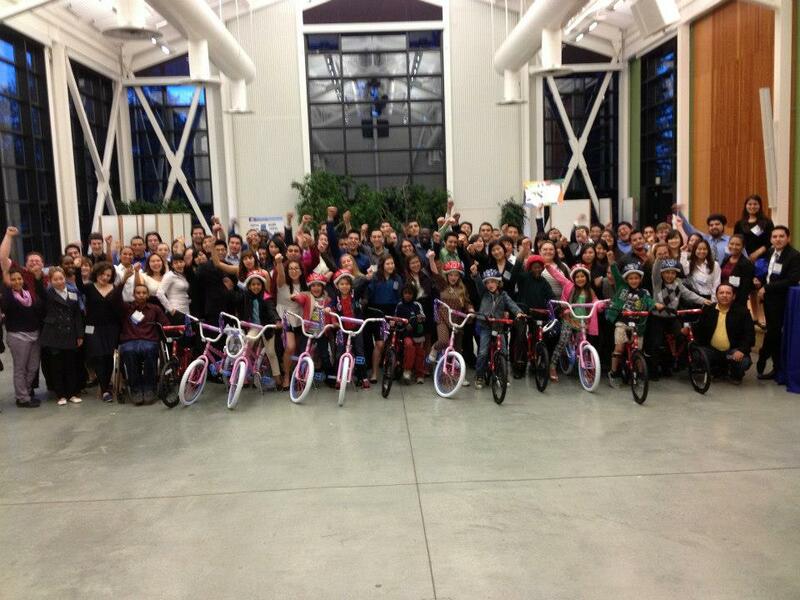 The UC LEADS program hosts a Build-A-Bike ® team building event in Santa Cruz, California just outside San Francisco. Eighty students from the University of California’s Leadership Excellence through Advanced DegreeS (UC LEADS) program which prepares promising students for advanced education in science, technology, mathematics and engineering (STEM). The program is designed to identify upper-division undergraduate students with the potential to succeed in these disciplines, but who have experienced situations or conditions that have adversely impacted their advancement in their field of study. The purpose of the Build A Bike was to increase camaraderie between the UC LEADS fellows. They want their fellows to be leaders on their campus, in their research experiences and in their community. What a better way to get to know each other and learn a little about team building but in a fun and charitable way. The students did not know at all what they were going to be doing for the rest of the afternoon as they entered the room. They soon found out they would be building bikes and were very excited about the charitable aspect and contribution. They found their teams and quickly bonded with their new friends. As they began with the tasks at hand they solidified with their teams and proceeded with the exercises. The participants are given tasks that they must complete within their groups. What they do not know is that they must go beyond their groups to complete the tasks. The LEADS students bumped up against the challenges and the uncertainty and figured out that working together was the key. By the end of the event, they solved the questions and were given everything they needed to build their bikes for the kids. Throw in a very rousing dance off, and a very fun and amusing time was had by all. The eighty participants worked together to build 12 beautiful bikes for 12 very happy boys and girls of the Boys and Girls Club of Santa Cruz. The bikes were a surprise to the kids and the kids were a surprise to the the LEADS participants. These young children and young adults were both equally thrilled to be participating in the Build A Bike event that the UC Leads organizer’s coordinated. “Is it always this much fun?” the main organizer Malika Bell asked. Yes, it is, Malika, yes, it is. Thank you to everyone at UC Leads for a fun and rewarding day in beautiful Santa Cruz. My wishes that all your kids go on to rewarding careers in the STEM fields or wherever their dreams take them.